It’s important to note that the economists at CBO didn’t do their own analysis on the employment impact of increasing the minimum wage—they looked at the academic literature on this subject and arrived at a conclusion about what it showed. In other words, they used exactly the same information that the more than 600 economist who signed a letter in support of increasing the minimum wage to $10.10 were looking at when they concluded that increasing the minimum wage will raise the wages of low-wage workers with little or no negative effect on employment. 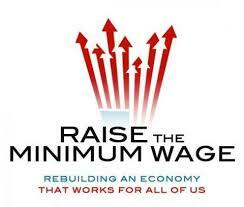 CBO acknowledged that the methods of more recent studies, particularly studies of state-by-state difference that address the fact that changes in state minimum wages can be correlated with local economic conditions in ways that can bias results, “have estimated more accurately the effects of minimum wages on employment.” These are the studies that show that increases in the minimum wage have caused little or no job loss. Nevertheless, they still gave consideration to older methodologies, which show significant negative effects. By doing so, they ultimately picked an estimate that is more negative than the current consensus. And here are some more points for us to consider here in North Carolina, where income inequality has been widening. The ratio of the income held by the top 1 percent has reached levels not seen since 1928. It’s clear that our economy isn’t working for everyone. Policies like raising the minimum wage would provide hard-working Americans the opportunity to get ahead, while giving the economy a much needed kick-start. So why do we only limit this to $10.10? Wouldn’t $50 or $150 per hour be much more fair? I think these jobs have to be worth that amount, and would have the added benefit of bringing them waaay out of poverty. Glad to see the “compassionate conservative” mantra at work. @smackdown Once again arguing to the absurd does nothing to help discussion. Although slippery slope arguments have some validity, no sane person is suggesting that high of a raise. If you side with fiscal responsibility than why suggest a wage that high even in jest. Such a suggest is equivalent to saying any attempt at firearm regulation amounts to confiscation of all persons right to own or bear arms. It is simply nonsensical. A fair debate would use common sense economic principles as used by the cbo and academic research. If people wanted to raise the wage above $20 that alone could be easily labeled unrealistic, however, that is not being advocated. What is being advocated is a very reasonable $10-15 wage. Any discussion as to the merits of that range either for or against is welcome but your suggestion is an absurd straw man as would a liberal suggesting that all conservatives wish the minimum wage to be $0 or eliminated. The funny thing is, that view is commonly touted by conservatives whereas anything above $20, even though fair, is not being advanced by liberals. The point is to stay within the perameters of a reasonable debate and do not move the goal post simply because your argument to the contrary is weak or nonexistent.